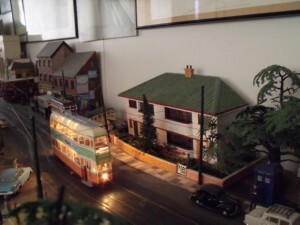 Without a decent broadband connection, hyperlinks to pictures may take some time to appear. 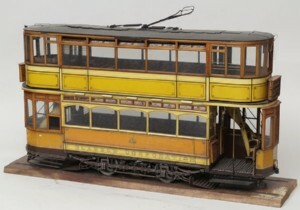 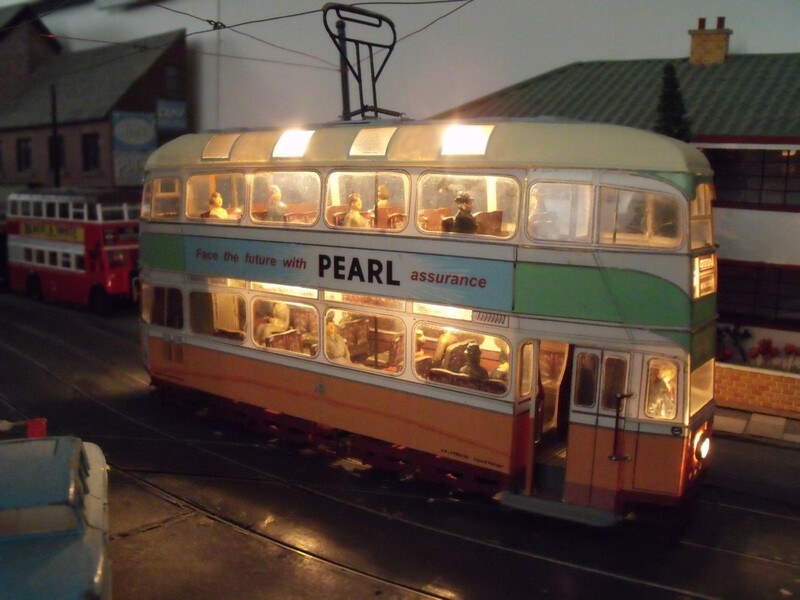 The picture of the 'Standard' Glasgow Tram Model [¾" to 1'-0"] seen on this page is reproduced by the kind permission of Glasgow Museums. It is not known if this is a working model or the maker. 9" long, 4½" high and 2" wide. 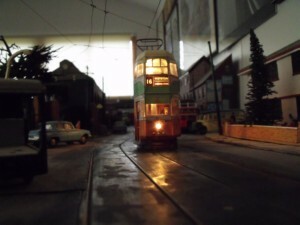 Take a £10 Alphagraphic card kit, strengthen it with white card and glazing and populate it with 'Slater' figures, add grain of wheat lighting, fit Terry Russell EMB lightweight trucks and working bow collector and out rolled a tram #1173 in a livery that we all remember from 50 years ago. 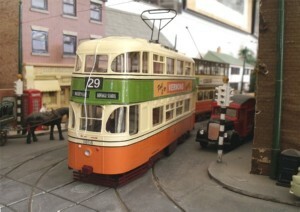 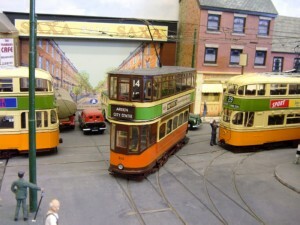 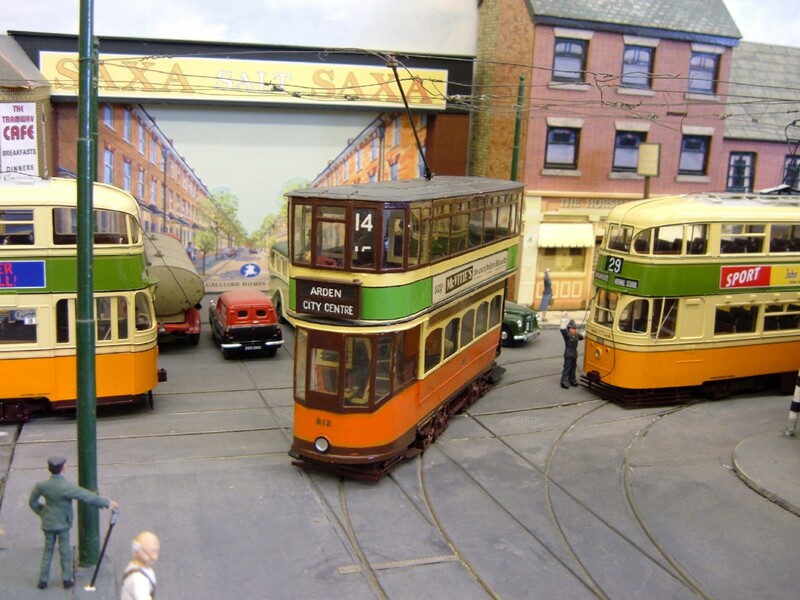 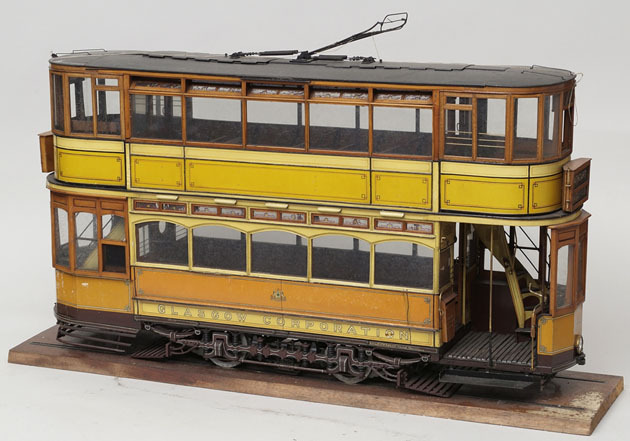 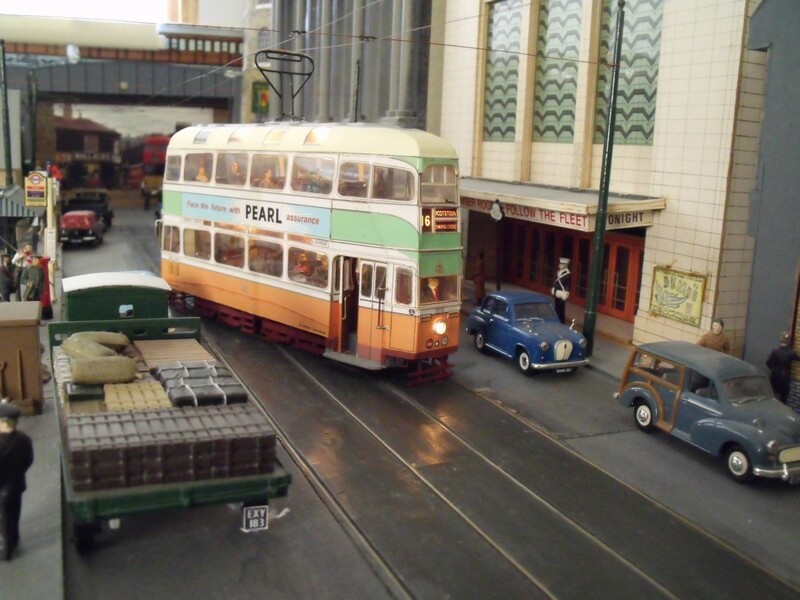 The Glasgow "Coronation" double deck Alphagrahix Tramcar Kit can be purchased for under a tenner at Terry Russell Trams but the EMB lightweight trucks and working bow collector will add another £150.00. Throw in lots of time and patience and another 7mm tramcar model is born. 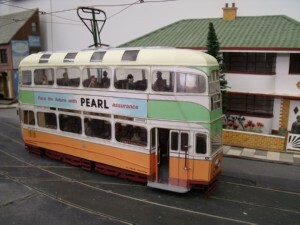 A unique 7mm resin kit of an ex Liverpool "Green Goddess"